This property is 5 minutes walk from the beach. 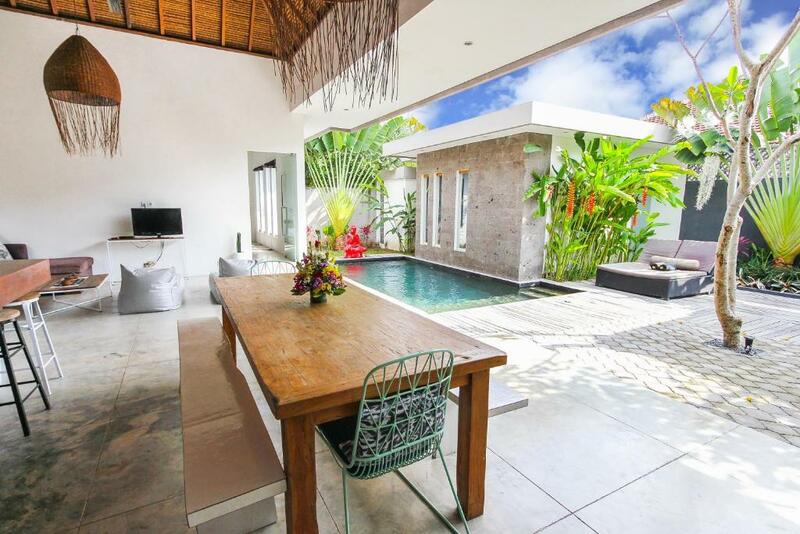 Offering pool views, Ocean Red is an accommodation located in Seminyak, 350 yards from The Seminyak Square Shopping Mall and 450 yards from Ku De Ta. Guests staying at this villa have access to free WiFi and a terrace. One of our bestsellers in Seminyak! Villa Aditi features an airport shuttle, a daily maid service and a garden. This air-conditioned villa comes with a seating area, a flat-screen TV, a pool view, and a kitchen with a fridge and a stove. 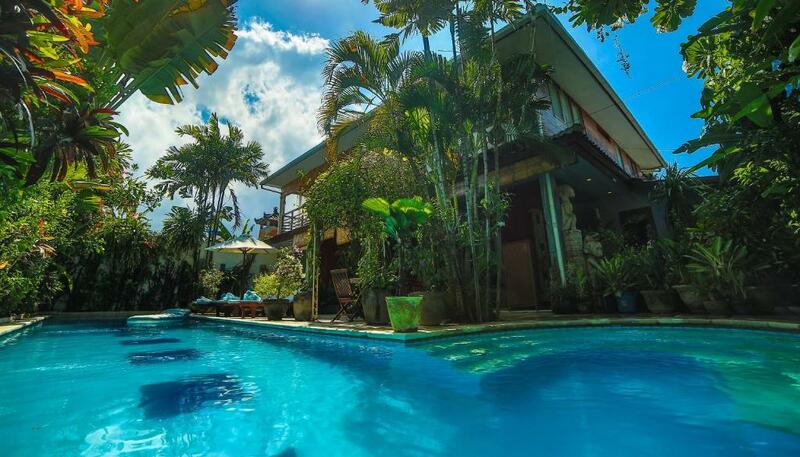 Guests at this property can make use of the private pool. This property is 7 minutes walk from the beach. 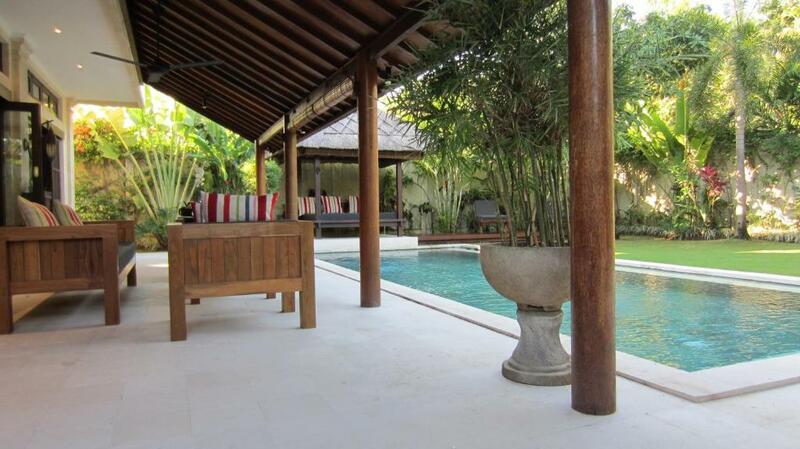 Villa Kebun is a 3-star traditional Balinese villa located a 5-minute walk from Seminyak Beach. It features a private pool and open concept living and dining room. Free parking and free WiFi are provided. One of our bestsellers in Seminyak! Located in Seminyak, 650 yards from The Seminyak Square Shopping Mall and 900 yards from Ku De Ta, Villa Tropicana offers free WiFi. The property is 0.7 miles from Petitenget Temple. The air-conditioned accommodation units come with tiled floors, a wardrobe and a seating area. Guests at this property can make use of the terrace. One of our top picks in Seminyak – and a guest favourite. This property is 6 minutes walk from the beach. Featuring an outdoor swimming pool and a shared lounge, OJ Villa - Seminyak, Oberoi is conveniently located in Petitenget of Seminyak, 450 yards from The Seminyak Square Shopping Mall and 550 yards from Petitenget Temple. This villa offers a garden as well as free WiFi. 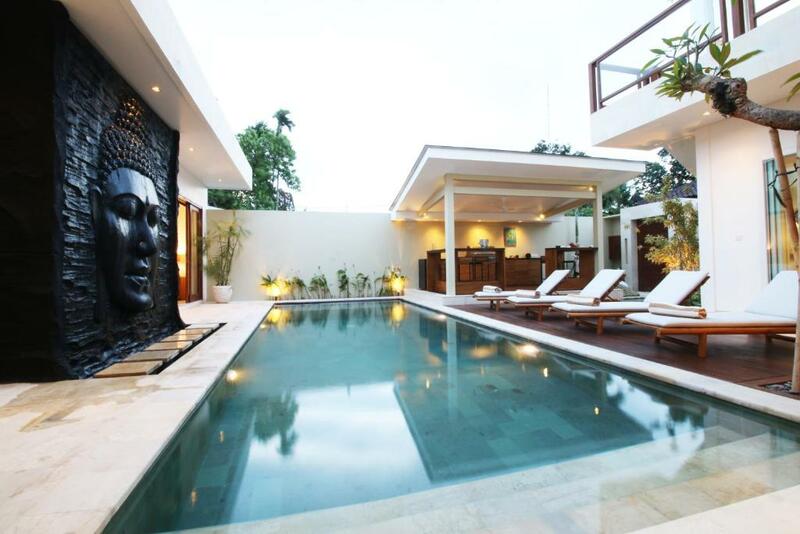 Set within the Double Six district in Seminyak, Villa Ai has air conditioning, a terrace, and pool views. This villa also features free WiFi. 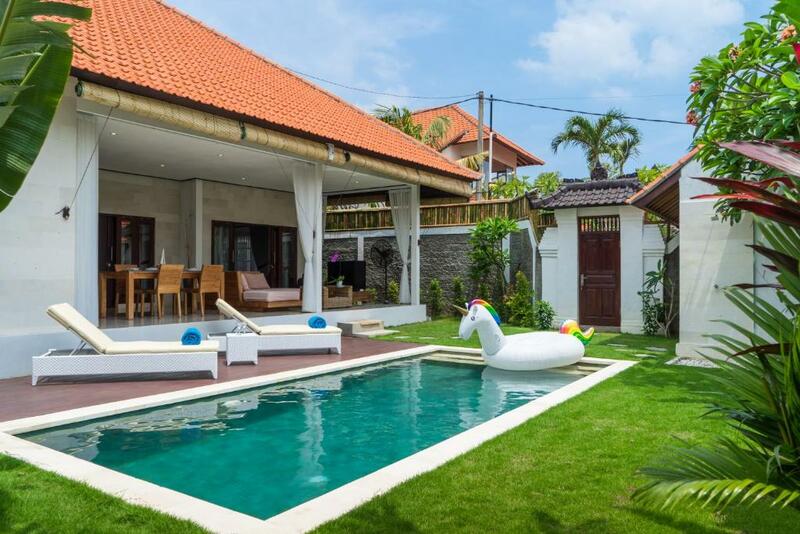 Complete with an outdoor swimming pool and barbecue facilities, Villa Kenari Montrose is situated in Seminyak, 750 yards from Petitenget Temple and 0.7 miles from The Seminyak Square Shopping Mall. This property is 0.8 miles from Ku De Ta. 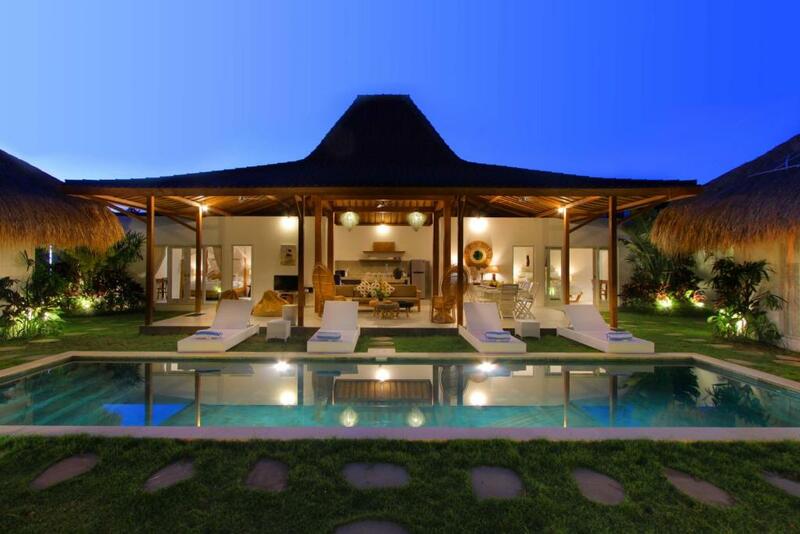 Villa Tsuchi is a villa set in Seminyak in the Bali Region. 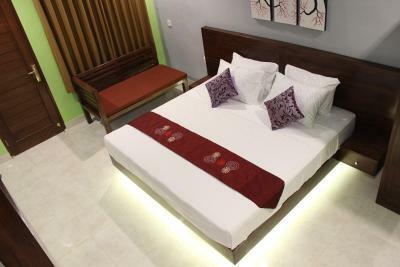 The villa is 450 yards from The Seminyak Square Shopping Mall. Offering an outdoor pool surrounded by lush greenery, Casa Bidadari Suite & Apartment Seminyak is a 10-minute drive from central Seminyak Square. It houses spacious suites with colourful interiors and private balconies. Free Wi-Fi is available in all areas. One of our bestsellers in Seminyak! This property is 12 minutes walk from the beach. Located just a 15-minute walk from Double Six Beach, Omink House offers a modern and cosy accommodation with free WiFi access in all areas, and free on-site private parking for guests who drive. This property is 12 minutes walk from the beach. Offering villas with private pools, Villa Air Bali Boutique Resort and Spa is a 5-minute drive from Seminyak Square and the shopping area. The resort offers cooking classes, yoga lessons, and free WiFi in the villas. 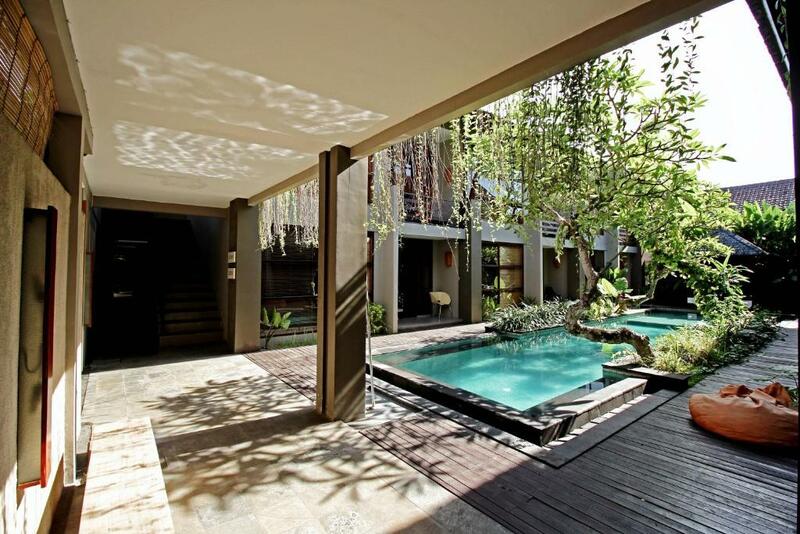 Villa Kendra Seminyak features an airport shuttle, a car rental service and a daily maid service. This air-conditioned villa comes with a seating area, a flat-screen TV, a pool view, a kitchen with a fridge and a stove, and a private bathroom with free toiletries and a hairdryer. 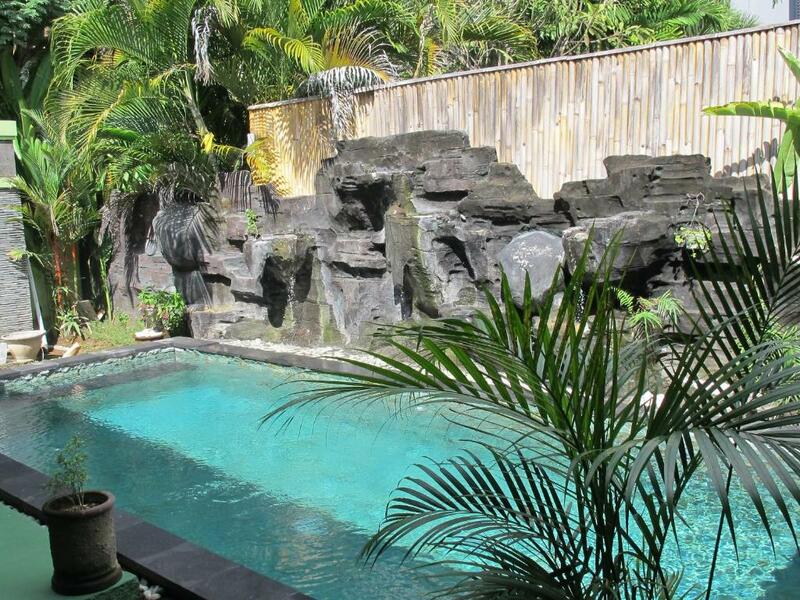 Guests at this property can make use of the private pool. 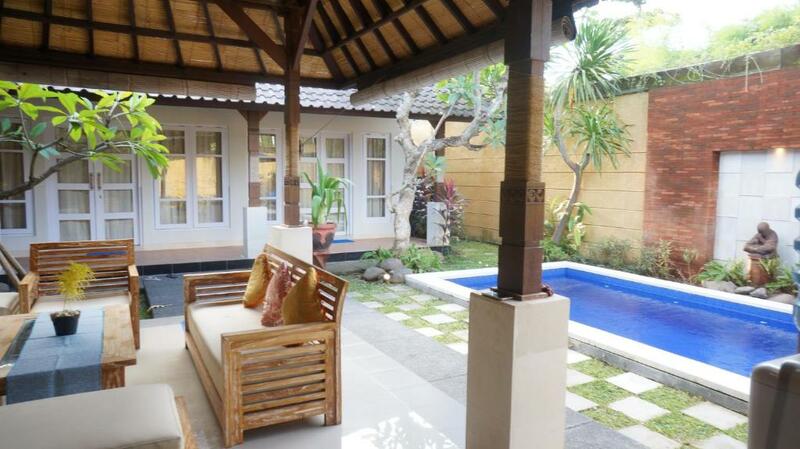 Set in Seminyak, 0.9 miles from The Seminyak Square Shopping Mall and 1.1 miles from Ku De Ta, Villa Tulip Seminyak offers barbecue facilities and air conditioning. The accommodation features free WiFi. This property is 9 minutes walk from the beach. Spacious and contemporary, the beautiful Casa Brio is a 4-bedroom property with a private pool, butler services and free Wi-Fi. Guests also have free access to the gym and spa at Canggu Sports Club. This property is 9 minutes walk from the beach. 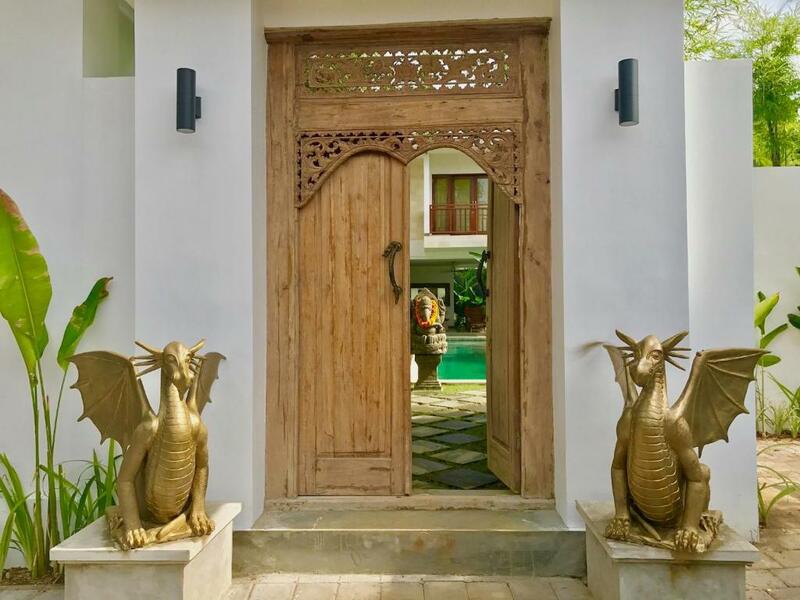 Just 350 yards from The Seminyak Square Shopping Mall and 650 yards from Petitenget Temple, Villa Aksara features accommodation in Seminyak, with an outdoor swimming pool. 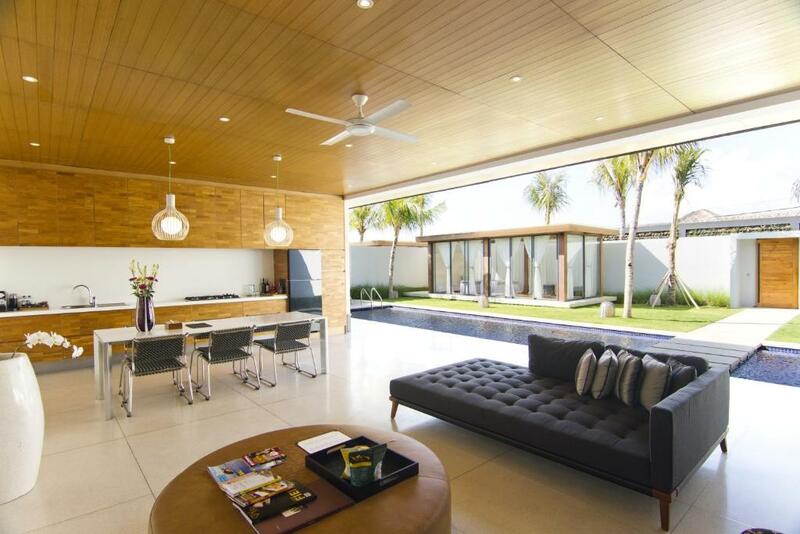 This property is 650 yards from Ku De Ta. This property is 6 minutes walk from the beach. 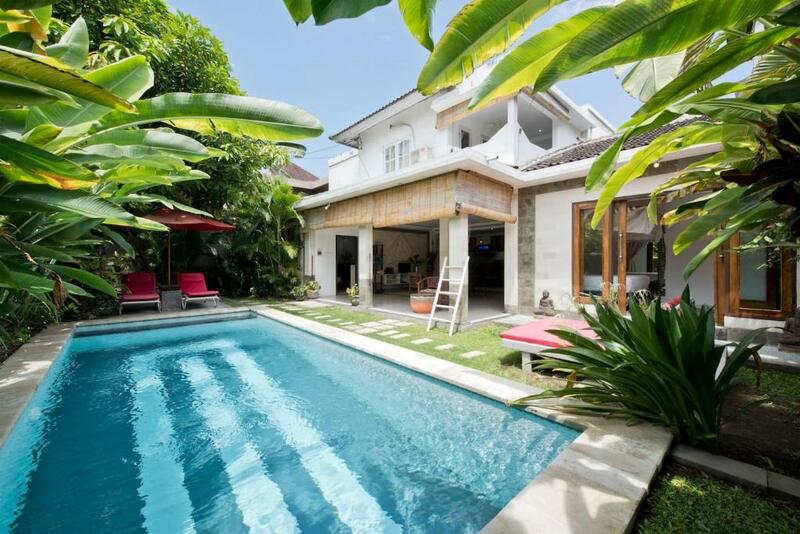 Set within the Petitenget district in Seminyak, Villa Khaleesi has air conditioning, a terrace, and mountain views. This property offers access to free WiFi. This property is 11 minutes walk from the beach. 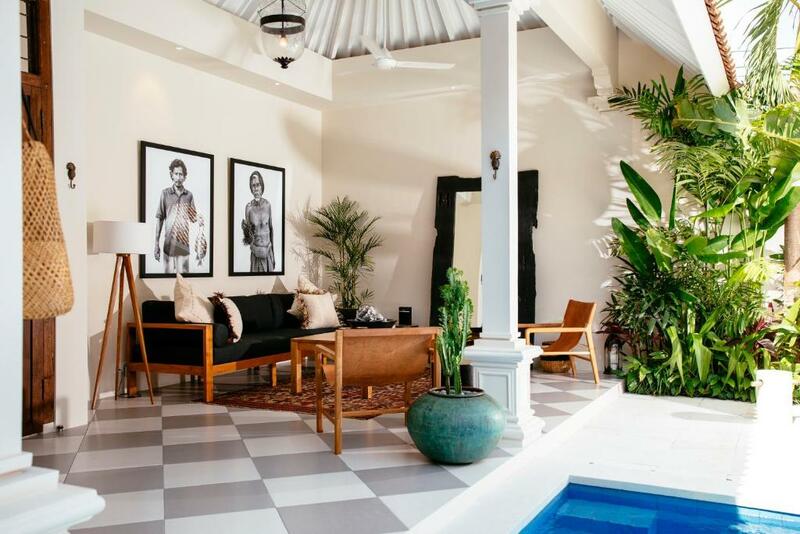 Boasting an outdoor swimming pool, a garden as well as a terrace, Villa Turtle is located in Seminyak, within 650 yards of Petitenget Temple. Complimentary WiFi is offered.